Mississippi Poker – Is Online Poker Legal in Mississippi? Right now Mississippi poker players are limited to poker in one of the state’s 30+ casinos. Everything else is pretty much off limits. But to be fair, it seems like they’re at least trying. I’ll explain in the online poker section. Just know that, one day, online poker may be legal in Mississippi. Fun fact: Mississippi is one of the few states that don’t have a state lottery. Will Online Poker Be Legal in Mississippi? Right now online poker is not permitted, licensed or regulated. So… it’s illegal… for now. But on 1/13/2015 State Representative Bobby Moak introduced a bill to legalize online gambling. This bill would make it a crime to play at offshore sites (probably to protect the state’s interest). The punishment would be up to 90 days in jail and fines of up to $10,000. Sounds alright to me. Bring on legal online poker, I say. But not so fast. This isn’t the first time Moak has tabled a bill. He’s put up similar bills in the past, in both 2012 and 2013, and both failed to make it out of committee. So, who knows what will happen here. The good news is that at least someone is trying. That’s more than what you can say about other states. Are Home Poker Games Legal in Mississippi? Many states have language that exempts or excludes ‘social games’ from their gambling laws. And since the state says nothing about home poker games, the default is to assume they’re illegal. Morals aside – and I don’t think dog fighting should be legal – the fact that dog fighting is exempted and not a game of skill, is puzzling and irritating, to say the least. That all said – chances are you could get away with a home game if you wanted to. You just need to keep the game quiet (between you and your friends). Be sure not to rake the pot or charge an entry fee, either. Or you can talk to local law enforcement and get their take on it. The one legal option you do have is casino poker. And there are plenty of casinos in Mississippi – more than 30 of them, in fact. Hard Rock Hotel & Casino at Biloxi – They have 4 poker tables. Golden Nugget Biloxi – They have TONS of options. You can play 7-card stud, omaha and holdem. They also have bad beat jackpots, re-buy tourneys, bounties, high hand specials and more. Pearl River Resort – Play poker 24/7. They have limit and no limit holdem and omaha cash games and tournaments. They have 12 tables with food side service. As for specials – be on the lookout for their player comps, bad beat jackpots and $25k bi-monthly tournament series. And, of course, you have all the other standard casino games. There are plenty of games and casinos to visit – I barely scratched the surface above. Is Online Poker in Mississippi’s Future? Experts suggest we’ll see online poker legalized in 2017 or 2018. And on one hand I agree. They’re like the little engine that could. They just keep trying to legalize it. On the other hand – they keep falling (too) short. I’m not so sure they’ll make it in the next couple of years. 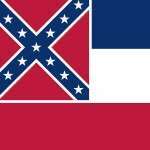 The bottom line – I think Mississippi will pass an online poker law. But what year will they do it? That’s the real question.